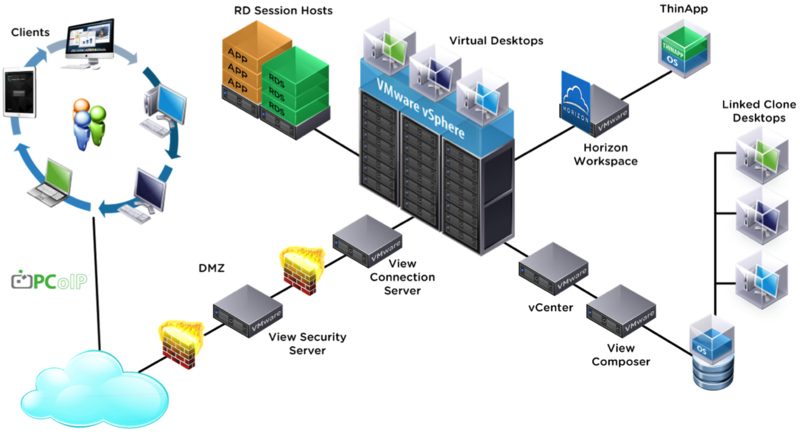 VMware had some very exciting news yesterday with the announcement of VMware Horizon 6! 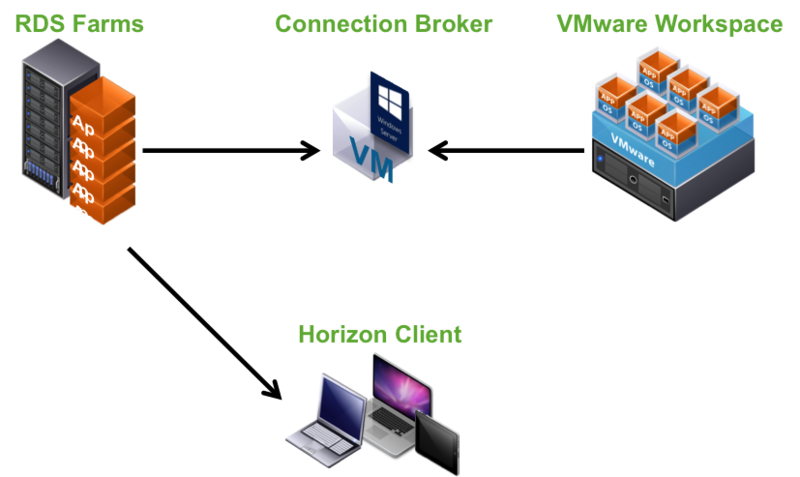 VMware Horizon is a family of virtual desktop and application solutions designed to deliver business applications to end users. With Horizon, VMware extends the power of virtualization from data centers to devices. It delivers desktops and applications with great user experience, manageability, and flexibility. The endpoint conversation is no longer about VDI, it is about delivering application and mobility services to your business users that fit their specific needs. I know I preach about this on a regular basis, but operations needs to be seen as delivering services to the business and get away from the perception of executing tasks. This helps them become much more strategic partners to their organizations. Horizon 6 will help transform end user computing to offer a portfolio of delivery options for application services. Horizon 6 allows IT professionals to deliver virtual desktops or applications through a unified platform, the Horizon Workspace, to their corporate users. 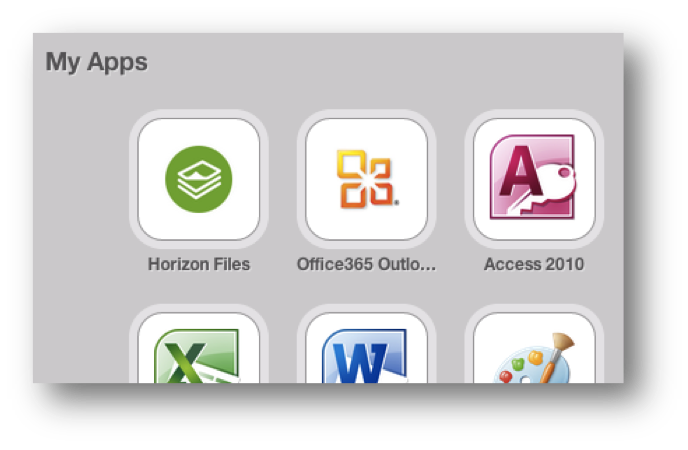 While accessing virtual desktops isn't something new with Horizon Workspace, the application services have been greatly expanded to include RDS-hosted applications, SaaS and web applications, Office 365, Google Apps, ThinApp packaged applications, and even XenApp applications from Citrix; all delivered from a single platform. This provides corporate business users with all the resources necessary to enable them to work effectively from any device, at any time, from anywhere. VMware Horizon 6 is going to raise the bar for delivering mobile services to business professionals and aligns nicely with the new era of the software-defined enterprise. The new RDSH applications and desktops are delivered through PCoIP to ensure a great user experience. They are ideal for mobile users that need to access just a few windows applications across non-Windows based mobile devices, remote business users who want access to a select amount of corporate applications instead of a full blown desktop, and EUC administrators that are looking to streamline day to day management by delivering the required business applications instead of a fully managed desktop image. 32-bit and 64-bit ThinApp 5.0 packages can now provide delivery to all Windows devices including non-domain member endpoints by HTTP. Windows DFS support has been included for application distribution. Horizon Workspace also provides seemless integration of Office 365, SharePoint, and Office 365 Web Applications with single sign-on. This helps extend application access to the most popular business suite to your mobile users. If your company is looking at a SaaS first cloud strategy for non-strategic business applications, Horizon Workspace helps centralize all those applications into a single portal. These are significant improvements, it is hard to believe the Horizon Suite is just over a year old. With over 150 new features, Horizon 6 allows organizations to extend the power of desktop and application virtualization to support workplace mobility while driving greater levels of operational efficiency at lower costs.